JTilley Incorporated specializes in placing today’s military Noncommissioned Officers (NCOs) and Commissioned Officers in corporate America. They are the backbone of the United States Army, Marine, Navy, Air Force and Coast Guard. The Department of Defense (DOD) has produced some of the greatest leaders. We pride ourselves in providing our customers with legendary services through leadership and high standards of ethics. Provide “The Backbone of Your Organization”. Steadfast dedication in providing honorably separated Service Members with employment opportunities. These values form the cornerstone of our organization, and will continue to provide corporate America with the same values, dedication, and commitment. JTilley Inc. is the only company in the nation totally dedicated to provide honorably separated NCOs with career transition employment opportunities with corporate America. Click here to learn more about JTilley Inc.
JTilley Inc. was founded by the 12th Sergeant Major of the Army (SMA), built on principles of providing our clients and military legendary customer services. Organized as a small group of highly qualified Senior NCOs and Officers that formed what is now a leading Service and Consulting Company. JTilley Inc. is a team of highly respected and qualified professionals that ensure our customers receive outstanding services. 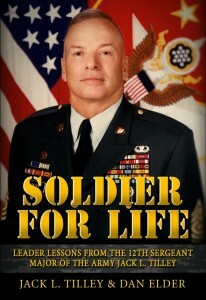 This book is more than just an autobiography of Jack L. Tilley, the 12th Sergeant Major of the Army, it is a series of leadership lessons based on selected stories from his more than 35-year career. 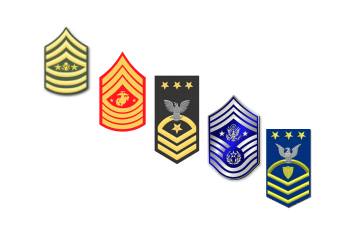 JTilley Inc. provides career, resume, and staffing resources for retiring NCOs during the transition from the military. We provide fortune 500 companies with experienced, dedicated, and hard working former military personnel. Our staff ensures each candidate receives guidance and commitment, so that the candidate can achieve their career goals after the military. Copyright © 2019 JTilley Inc. Powered by WordPress. Theme: Spacious by ThemeGrill.